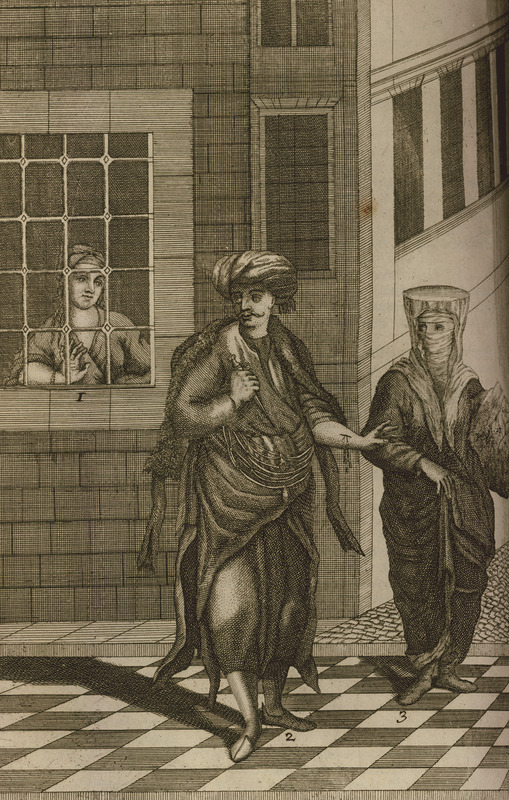 A Janissary courts a young woman; he has slashed his arm as a token of his affection. A Jewish matchmaker is standing on his side. La Motraye states that he witnessed the scene himself.